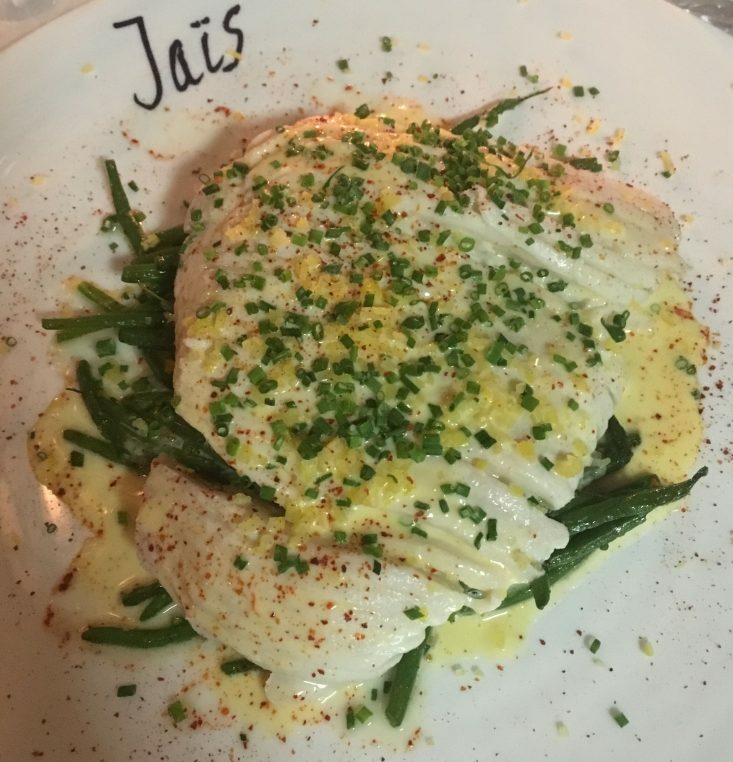 Jaïs, a delicious way to start the year. I had heard of this place from two friends so when Marguerite, my niece who graduated from Ecole hôtelière de Lausanne, suggested that we try it, I got excited. And Jaïs named after its French Moroccon chef, was a winner. The atmosphere is delightful, the staff friendly and not overconfident, customers are in their forties and the decor is unpretentious. Only one drawback, it gets pretty noisy when it is full like last night. 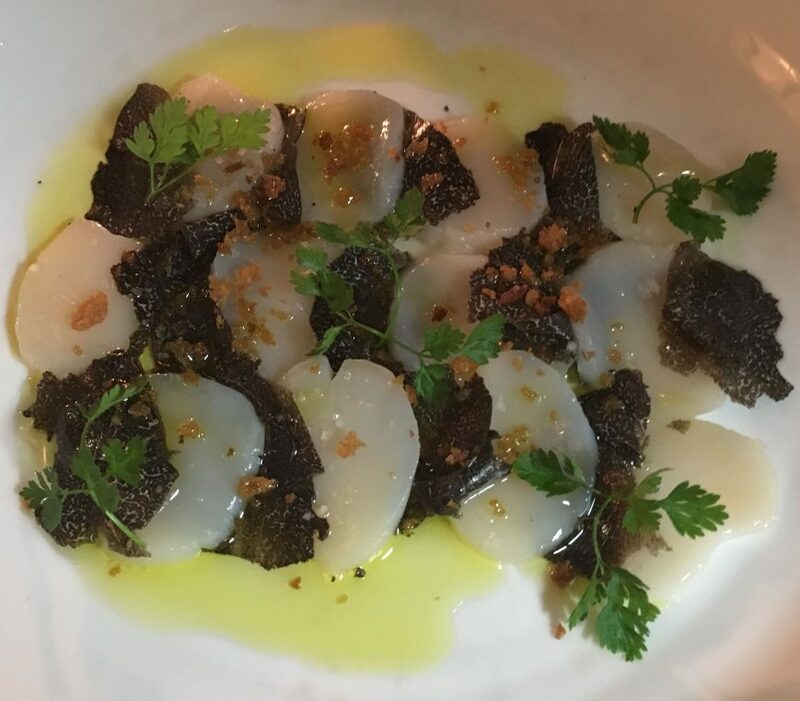 We wanted to try all the starters and settled for macaronis farcis with foie gras, truffle and Jerusalem artichoke, scallops with truffles and pâté en croûte. All were absolutely delicious and pretty to look at. For entrées, I had the skate which is my favorite fish and it was poached with citron confit, maybe a Moroccan influence? and served over perfectly cooked green beans, a nice change from purée or rice. Marguerite had the great turbot, with spinach and a light hollandaise while her husband Felix had the entrecôte de Simmental which he thoroughly enjoyed. 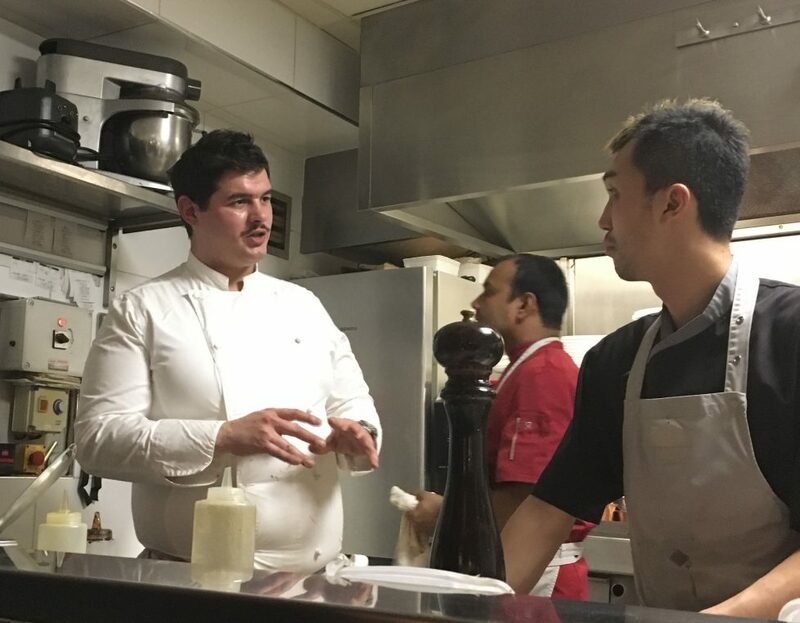 We were sitting next to the semi open kitchen and could witness the calm and silence of the chef and his cooks. 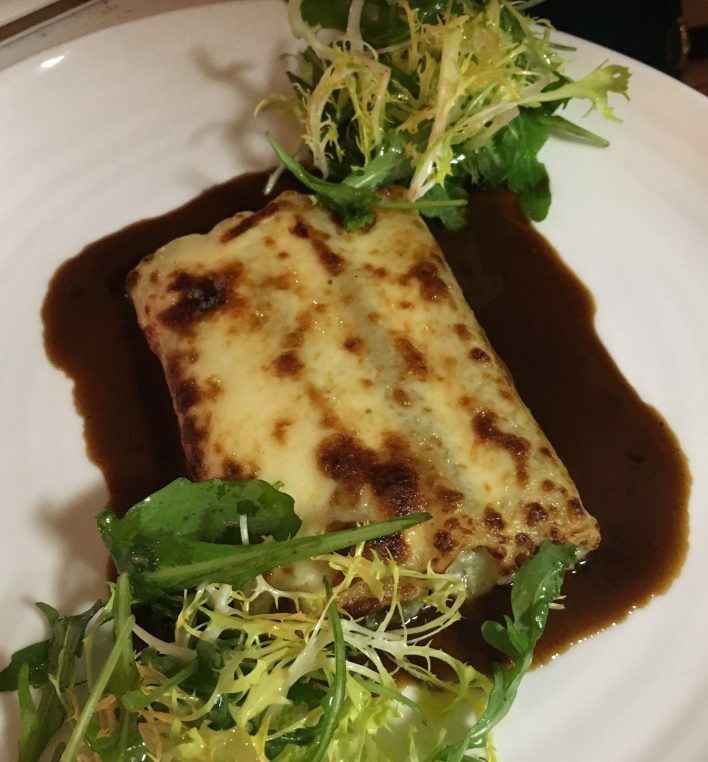 There are three of them preparing this very French, delicious and yet unpretentious food. I did not try the sweetbreads nor the joue de boeuf bourguignonne, nor the os à moelle, not the poulpe but will next time I go. Dessert was a bit of a disappointment on the choices. Tarte tatin à l’ananas was a little too thick and I did not feel like the tarte auction de Kalamata meringuée. 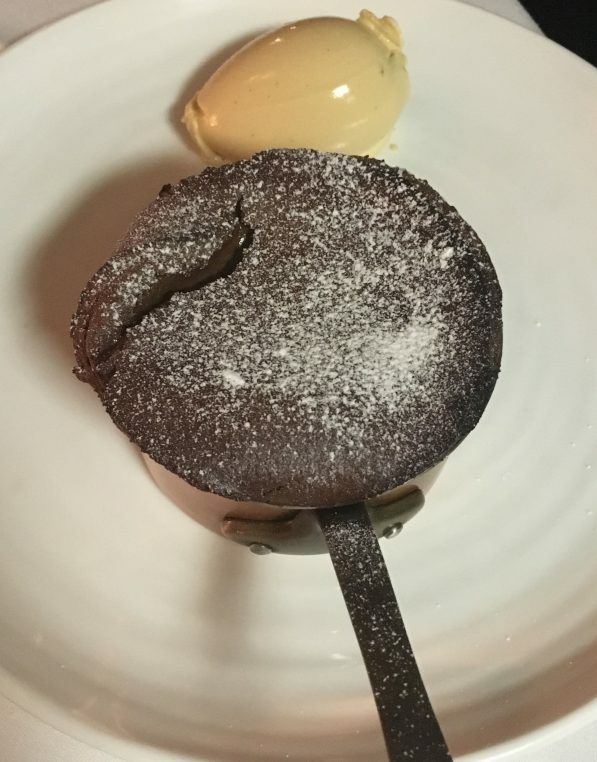 So we went for the chocolate soufflé which was a definite winner although my guests thought it was slightly undercooked. I didn’t because I love the “coulant” inside. Dinner was (as far as I am concerned) a perfect moment of fun, good food and efficiency. There were queues of younger diners when we left and the staff never lost their temper nor forced us to get out. We were recommended a Côte du Rhône, “l’élémentaire” from Domaine Gramenon in Drôme which I liked. 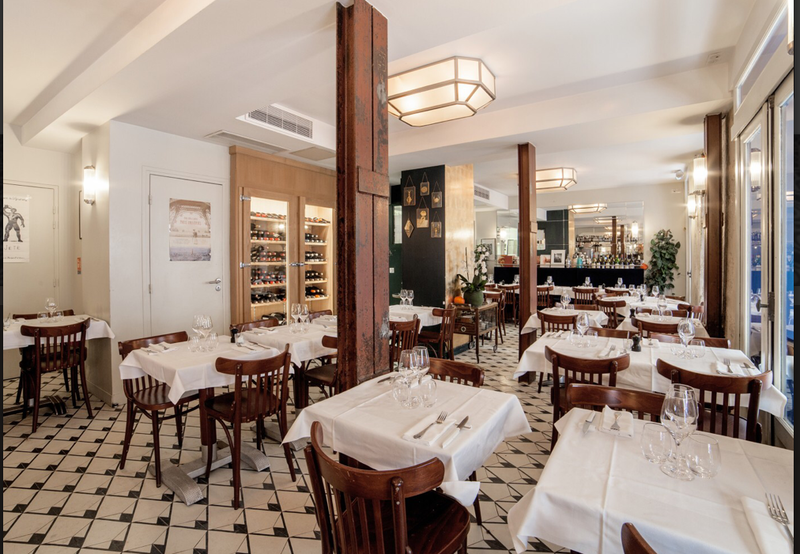 The address near the Seine is convenient for parking and the bill is reasonable at around 80€. Jaïs, 3 rue Surcouf, Paris 7. Ta description des mets me donne très envie d’y faire un tour ! Les images sont alléchantes ! Un bon début d’année qui commence ! « Sauvage, what great food!